A mixture of good and bad for us. 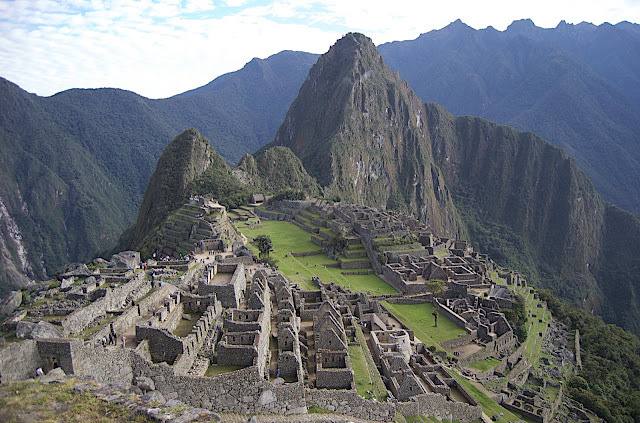 We loved Arequipa and Barranco (near Lima) and obviously Machu Pichu and the Inca Trail was fantastic. But we were disappointed with Cusco, Lima and Nasca and didn’t really feel that welcome in some of the places we went. We take a flight over the Nasca Lines which makes me feel more than a little bit queasy. Then it's off to Lima for a day or two which culminates in a culinary extravanganza before Lee flies home. An incredible day's cycling in the mountains and two days of trekking leads us to Machu Picchu. Then it's off to Arequipa where we visit a convent and try out horse riding for the first time.